BOOK SUMMARY: “IRRESISTIBLE: Reclaiming the New that Jesus unleashed on the world” by Andy Stanley – Notes. Because some are concerned that Andy Stanley is no longer holding to an evangelical view of faith, it’s worth looking at a few things up front. > Andy Stanley is a graduate of Dallas. > The Professor of Theological Studies from Dallas (Glenn Kreider) endorsed this book. > Salvation is by grace alone, through faith in Christ alone. > The deity of Christ, His virgin birth, sinless life, substitutionary death, and bodily resurrection. > That everyone spends eternity somewhere. Believers will experience eternal life with God, whilst unbelievers will suffer eternal judgement in Hell. ANDY STANLEY WOULD AGREE WITH MUCH OF WHAT REFORMED AND LUTHERAN CHRISTIANS WOULD BELIEVE. The Law condemns us and shows us our need for Jesus to save us. The Gospel invites us to place our faith in Jesus to pay for our sin and receive the Holy Spirit. The Holy Spirit works in us and through us to make us more like Jesus. In response to God’s amazing grace, and by the power of the Holy Spirit, Christians seek to do good works freely and joyfully. Reformed/Lutheran Christians differ from Dispensational Christians on what these good works look like. > Ceremonial and Civil Laws of the Old Covenant no longer apply. > Moral Laws of the Old Covenant need to be applied in light of what Jesus taught. > The New Testament also applies. > Ceremonial, Civil and Moral Laws of the Old Covenant no longer apply. > Christians seek to love others as they have been loved by Jesus. The New Testament paints a picture of what this will look like. Suppose a man is both a father to his son, and a boss to his employees. One day his son overhears him talking to his employees about expectations and rewards. The son could foolishly go home and think that he too needs to fulfill those same expectations, and that if he does, he’ll get the same rewards. But that would be ridiculous. Just because the father has expectations and rewards for his employees, doesn’t mean he operates the same way with his son. This is why Christians don’t listen to the expectations and rewards our Heavenly Father had for Israel (i.e. Old Covenant) and think they’re for us. God hasn’t changed, but the covenants have. Israel was in a conditional covenant (blessings and curses). Christians are under the new covenant of grace. We are not slaves but sons. Stanley, Andy. Irresistible: Reclaiming the New that Jesus Unleashed for the World (p. 93). Zondervan. Kindle Edition. “The terms ‘Old Testament’ and ‘New Testament’ are common church vernacular, but many Bible readers have no idea where they came from. Most Christians are unaware of how the Old Testament got old and how something written two thousand years ago can be referred to as new. Many assume the Old Testament is labeled old because the events in the first half were older than the events in the second half. That’s assuming they’ve ever stopped to think about it. Stanley, Andy. Irresistible: Reclaiming the New that Jesus Unleashed for the World (pp. 96-97). Zondervan. Kindle Edition. Stanley, Andy. Irresistible: Reclaiming the New that Jesus Unleashed for the World (p. 97). Zondervan. Kindle Edition. Stanley, Andy. Irresistible: Reclaiming the New that Jesus Unleashed for the World (pp. 69-70). Zondervan. Kindle Edition. Stanley, Andy. Irresistible: Reclaiming the New that Jesus Unleashed for the World (p. 95). Zondervan. Kindle Edition. Stanley, Andy. Irresistible: Reclaiming the New that Jesus Unleashed for the World (p. 170). Zondervan. Kindle Edition. Stanley, Andy. Irresistible: Reclaiming the New that Jesus Unleashed for the World (p. 29). Zondervan. Kindle Edition. Stanley, Andy. Irresistible: Reclaiming the New that Jesus Unleashed for the World (p. 30). Zondervan. Kindle Edition. Stanley, Andy. Irresistible: Reclaiming the New that Jesus Unleashed for the World (pp. 32-33). Zondervan. Kindle Edition. Stanley, Andy. 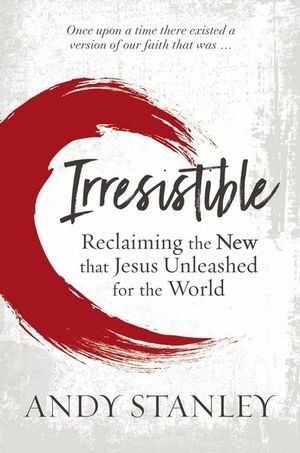 Irresistible: Reclaiming the New that Jesus Unleashed for the World (p. 98). Zondervan. Kindle Edition. Stanley, Andy. Irresistible: Reclaiming the New that Jesus Unleashed for the World (pp. 99-100). Zondervan. Kindle Edition. “If the law of Moses was destined to become obsolete, why establish it in the first place? Why did God establish a covenant that had a shelf life? Paul’s answer: Why then was the law given at all? It was added because of transgressions until the Seed to whom the promise referred had come. There it is again. The law was intended as a temporary measure until God fulfilled his promise to Abraham. Stanley, Andy. Irresistible: Reclaiming the New that Jesus Unleashed for the World (pp. 142-143). Zondervan. Kindle Edition. “The covenant God made with the nation of Israel at Mount Sinai was between God and the nation, not God and individuals in the nation. This was a national covenant. Individuals within the nation could cut themselves off from the covenant through personal unfaithfulness, but the covenant itself was with the nation. When God punished the nation, everybody suffered, not just the guilty. When the nation was invaded, the righteous and the unrighteous were slaughtered and enslaved. When God blessed the nation, the wicked prospered right along with all the not-so-wicked. How encouraging. God-fearing graduates can step confidently into the next chapter of their lives assured of prosperity, divine protection, and, hopefully, a job. Maybe. But who is “you”? “For I know the plans I have for you.” You who? Certainly not you, that’s who. Here’s the entire passage. Stanley, Andy. Irresistible: Reclaiming the New that Jesus Unleashed for the World (pp. 98-99). Zondervan. Kindle Edition. Stanley, Andy. Irresistible: Reclaiming the New that Jesus Unleashed for the World (p. 165). Zondervan. Kindle Edition. Stanley, Andy. Irresistible: Reclaiming the New that Jesus Unleashed for the World (p. 166). Zondervan. Kindle Edition. “In the Old Testament, when people died, it was assumed they went to Sheol. But Sheol wasn’t an actual place. It was the term used to describe the realm of the dead. Sheol became somewhat synonymous with hell after the Jewish Scriptures were combined with Christian writings. Many a grieving parent has taken comfort in King David’s response when he’s told the baby he conceived with Bathsheba had died. Can I bring him back again? I will go to him, but he will not return to me. This is a powerful, reassuring, hope-filled statement when read through the lenses of our new covenant-colored glasses. But there was nothing hopeful about it when David uttered it. His point was not that he would see his baby again one day in heaven. His point was that he would eventually join his baby in death. Would I correct a grieving parent’s misapplication of this text? Of course not. But I sure as Sheol wouldn’t use it at the funeral service either. Stanley, Andy. Irresistible: Reclaiming the New that Jesus Unleashed for the World (pp. 165-166). Zondervan. Kindle Edition. Stanley, Andy. Irresistible: Reclaiming the New that Jesus Unleashed for the World (p. 20). Zondervan. Kindle Edition. Stanley, Andy. Irresistible: Reclaiming the New that Jesus Unleashed for the World (p. 23). Zondervan. Kindle Edition. Stanley, Andy. Irresistible: Reclaiming the New that Jesus Unleashed for the World (pp. 23-24). Zondervan. Kindle Edition. Stanley, Andy. Irresistible: Reclaiming the New that Jesus Unleashed for the World (p. 85). Zondervan. Kindle Edition. Stanley, Andy. Irresistible: Reclaiming the New that Jesus Unleashed for the World (pp. 109-110). Zondervan. Kindle Edition. “Under the old covenant, Jews were accountable to a ‘written’ code, the law of Moses. But under the new covenant, we are accountable to the Holy Spirit. Big difference. I want to point out one other super important contrast: new vs. old… in the new way of the Spirit, and not in the old way of the written code. You’ll think I’m making this up. The Greek term translated old actually means obsolete or outdated. Paul uses a derivative of this same term in his second letter to Corinthian Christians. Speaking of his Jewish brethren, he writes: But their minds were made dull, for to this day the same veil remains when the old covenant is read. This isn’t old as in ancient. We don’t refer to the U.S. Constitution as the old constitution. Why? Because it’s still in force. If we ratified a new constitution, we would immediately, as in the next day, refer to the original constitution as the old constitution. Not because it suddenly got older, but because we were no longer using it. Remember when you got your current cell phone? The moment you took possession of it, how did you begin referring to the one you walked into the store with? The one you kept by your bedside the night before? The one you showed off to friends when you first got it? As soon as you took possession of your new phone, the other phone immediately became your . . . old phone. Not because it suddenly got older. But because you were replacing it with something newer. Better. And I bet you didn’t carry both phones around with you. Why? You’re not the blended-phone type. Once you got your new one, you . . . well . . . what did you do with your old one? Stanley, Andy. Irresistible: Reclaiming the New that Jesus Unleashed for the World (pp. 138-139). Zondervan. Kindle Edition. Stanley, Andy. Irresistible: Reclaiming the New that Jesus Unleashed for the World (Location: 949). Zondervan. Kindle Edition. Stanley, Andy. Irresistible: Reclaiming the New that Jesus Unleashed for the World (Location: 962). Zondervan. Kindle Edition. Stanley, Andy. Irresistible: Reclaiming the New that Jesus Unleashed for the World (p. 82-84). Zondervan. Kindle Edition. In other words, May it be unto me as it is with this unfortunate animal if I violate the terms of this covenant. When God ratified his covenant with Abraham, he had instructed Abraham to bring a goat and a ram and to cut them in two and arrange the halves opposite each other. In a traditional covenant ceremony, both parties would then pass between the eviscerated carcasses. But this was an unconditional covenant. The text says that as the sun set, Abraham fell into a deep sleep. And then something extraordinary happened: When the sun had set and darkness had fallen, a smoking firepot with a blazing torch appeared and passed between the pieces.8 God did not require Abraham to pass between the divided carcasses. Instead, the blazing torch, representing God’s presence, did all the passing. This was God’s way of saying, ‘Abraham, this is on me! I take full responsibility for fulfilling my promises to you.’ Unilateral. Unconditional. Stanley, Andy. Irresistible: Reclaiming the New that Jesus Unleashed for the World (pp. 100-102). Zondervan. Kindle Edition. Stanley, Andy. Irresistible: Reclaiming the New that Jesus Unleashed for the World (p. 102). Zondervan. Kindle Edition. Stanley, Andy. Irresistible: Reclaiming the New that Jesus Unleashed for the World (p. 137). Zondervan. Kindle Edition. “Nobody knows who authored the letter to the Hebrews. It was written around AD 64. It reads more like a sermon than a letter. The document is written to Jewish Christians pressured by the Jewish community to renounce Jesus and return to traditional Judaism. The author urges his audience to stay the new covenant course and resist the temptation to bend and blend. In a point-by-point comparison, the author explains how everything about Jesus is superior to everything about the old covenant. Jesus is greater than Moses. Jesus is a better high priest than the current high priests. Jesus’ covenant is superior to the covenant established at Mount Sinai. Jesus’ once-for-all sacrifice is superior to the daily temple sacrifices. Comparing Jesus’ capacity as a priest to the priest down the street, he writes: But, in fact, the ministry Jesus has received is as superior to theirs as the covenant of which he is mediator is superior to the old one, since the new covenant is established on better promises. Note the compare-and-contrast terminology: ‘superior,’ old,’ ‘new,’ ‘better.’ He’s in complete agreement with the Jerusalem Council and the apostle Paul. The new covenant is a better, superior, preferable covenant. There’s no mention of blending, mixing, or combining. According to our mystery author, the old covenant does not carry the weight or authority of the new one. Stanley, Andy. Irresistible: Reclaiming the New that Jesus Unleashed for the World (pp. 151-153). Zondervan. Kindle Edition. “You have heard that it was said, ‘Eye for eye, and tooth for tooth.’ Yes, they had. The Jewish Scriptures stated: Show no pity: life for life, eye for eye, tooth for tooth, hand for hand, foot for foot. Instead of explaining what that bit of Scripture meant, Jesus surprised everyone with this: But . . . If he had paused after ‘But . . .’ they would have thought, But? Jesus, you don’t respond to Moses with but unless it’s, ‘But of course.’ You can’t but something handed down by Moses! But he did. Because Jesus was greater than Moses. Greater than the temple. Greater than the law. So he butted his way through. But I tell you do not resist an evil person. If anyone slaps you on the right cheek, turn to them the other cheek also. And if anyone wants to sue you and take your shirt, hand over your coat as well. If anyone forces you to go one mile, go with them two miles. Stanley, Andy. Irresistible: Reclaiming the New that Jesus Unleashed for the World (pp. 106-107). Zondervan. Kindle Edition. “You have heard that it was said, ‘Love your neighbor and hate your enemy.’ But I tell you, love your enemies and pray for those who persecute you, that you may be children of your Father in heaven. You won’t find ‘hate your enemy’ explicitly stated in the Jewish Scriptures. But the sentiment was certainly modeled and illustrated throughout Israel’s history as documented in their Scriptures. Stanley, Andy. Irresistible: Reclaiming the New that Jesus Unleashed for the World (p. 107). Zondervan. Kindle Edition. “As the hinge between covenants, Jesus’ mission was to lay the groundwork for the transition from old to new. Summarizing the entire Jewish law with two existing laws wasn’t just genius, it was strategic. Just as the old covenant included laws for the nation to live by, so Jesus’ new covenant would include instructions for his followers to live by as well. But his list wouldn’t be engraved on stone tablets. It would be engraved in the hearts, minds, and consciences of his followers. The rules and regulations associated with Jesus’ new covenant could easily be committed to memory. The reason being, they weren’t a they. They were an it. There was just one. Stanley, Andy. Irresistible: Reclaiming the New that Jesus Unleashed for the World (Location 3014). Zondervan. Kindle Edition. Stanley, Andy. Irresistible: Reclaiming the New that Jesus Unleashed for the World (Location 3027). Zondervan. Kindle Edition. Stanley, Andy. Irresistible: Reclaiming the New that Jesus Unleashed for the World (Location 3087). Zondervan. Kindle Edition. 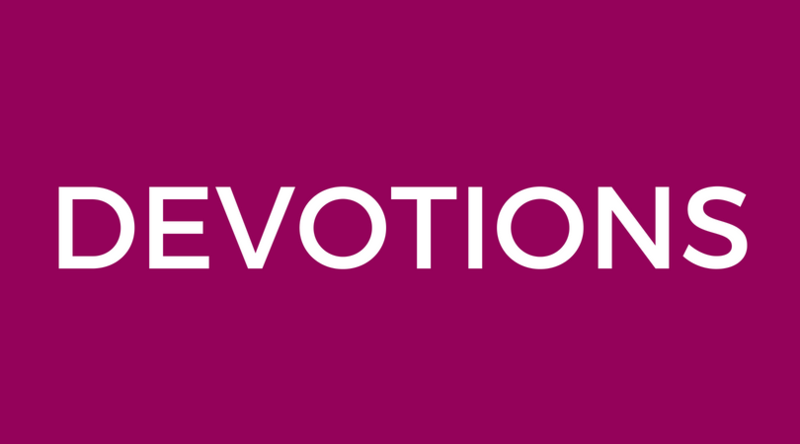 “Jesus’ new covenant command forces us to upgrade our answer to the question Why? Why obey? Why submit? Why surrender? Under the old covenant, why was answered with an eye to the sky. Israel obeyed to fulfill their part of their old covenant contract with God. They obeyed to be blessed. They obeyed to be protected and prospered. They obeyed to keep the nation foreigner-free. Old Testament prophets, writing in their old covenant context, reiterated the old covenant why throughout their instructions to the nation. Obedience brought blessing. Disobedience would result in punishment, perhaps banishment. Israel obeyed old covenant rules and restrictions for their own sake. With that paradigm in mind, consider this well-known old covenant command. Honor your father and your mother . . .
Why? so that you may live long in the land the LORD your God is giving you. Honoring Mom and Dad under the old arrangement wasn’t really for the benefit of Mom and Dad. It was about the security and prosperity of the kids. This is the nature, force, and tone of the old covenant. Unfortunately, that’s the nature, force, and tone of a lot of modern preaching. One of the devastating consequences of our mix-and-match church culture is we invariably mix and match old covenant and new covenant whys. It’s devastating because Jesus’ new covenant came prepackaged with a new answer to the question why. “In the parable of the prodigal son, when referring to the wayward younger brother, Jesus says: But while he was still a long way off, his father saw him and was filled with ________. Remember what comes next? Don’t look. How we fill in that blank says a great deal about how well we understand the new Jesus unleashed in the world. In the past, I’ve felt scorn, anger, and resentment toward sinners. Even repentant sinners. Who could blame me? These folks, in some cases friends, enjoyed the pleasure of sin and then turned around and leveraged God’s forgiveness and forgetfulness. They were having it both ways. I didn’t like it. I didn’t like them. So, yeah, my word was different than the word Jesus put in the mouth of the prodigal’s father. What word would you choose? What would you be “filled with” if you were a brother or sister to the prodigal? What word would your church or denomination put in that blank? But while he was still a long way off, his father saw him and was filled with compassion. According to Jesus, the proper response to sin isn’t jealousy, anger, or indifference. It’s compassion. That’s easy to say but difficult to do. Jesus knew that. In the end, he put his life where his mouth was. Again, Paul said it best: You see, at just the right time, when we were still powerless, Christ died for the ungodly. Still powerless. Very rarely will anyone die for a righteous person, though for a good person someone might possibly dare to die. But God demonstrates his own love for us in this: While we were still sinners . . . Before we began our journey home. But God demonstrates his own love for us in this: While we were still sinners Christ died for us. Stanley, Andy. Irresistible: Reclaiming the New that Jesus Unleashed for the World (Location 3988). Zondervan. Kindle Edition. Whilst Martin Luther did point Christians back to the 10 Commandments to show Christians what good works would look like, it’s interesting that he didn’t think they all applied to Christians in the same way that it applied to the nation of Israel. He applied the principles rather than taught people to obey the commands. “This commandment… does not concern us Christians; for it is altogether an external matter, like other ordinances of the Old Testament, which were attached to particular customs, persons, times, and places, and now have been made free through Christ. But to grasp a Christian meaning… We keep holy days not for the sake of… Christians (for they have no need of it holy days), but… for the common people, man-servants and maid-servants, who have been attending to their work and trade the whole week, that for a day they may retire in order to rest and be refreshed. Stanley, Andy. Irresistible: Reclaiming the New that Jesus Unleashed for the World (p. 18). Zondervan. Kindle Edition. “When asked about their view of Scripture, 72 percent of nones said it was not the Word of God. More people have more questions about the origins, relevance, and authority of the Scriptures . . . the steady rise of skepticism is creating a cultural atmosphere that is becoming unfriendly—sometimes even hostile—to claims of faith. In a society that venerates science and rationalism, it is an increasingly hard pill to swallow that an eclectic assortment of ancient stories, poems, sermons, prophecies, and letters, written and compiled over the course of 3,000 years, is somehow the sacred ‘Word of God.’ That’s the bad news. Here’s the good news. And now you’ll understand why I spent so much of your valuable reading time trying to pry you away from all things old covenant. Again, here’s the good news. The foundation of our faith isn’t ‘an eclectic assortment of ancient stories, poems, sermons, prophecies, and letters, written and compiled over the course of 3,000 years.’ The foundation of our faith isn’t even an inspired assortment of ancient stories, poems, sermons, prophecies, and letters, written and compiled over the course of 3,000 years. The foundation of our faith isn’t an assortment of anything. But the majority of Christians believe it is. And the majority of post-Christians thought it was. So they left. ODDS ARE In 2011, 10 percent of Americans qualified as skeptics when it came to the Bible. In 2016, just five years later, that number had more than doubled. Currently, 22 percent of Americans do not believe the Bible has any divine underpinnings. But the current percentage is not the real story. The real story is the current rate at which culture is dismissing the Bible as uninspired, untrue, and irrelevant. But it doesn’t stop there. Twenty-seven percent of millennial non-Christians believe ‘the Bible is a dangerous book of religious dogma used for centuries to oppress people.’ Journalists, scientists, and scholars the likes of Sam Harris, Richard Dawkins, and the late Christopher Hitchens have provided plenty of one-sided commentary to support that narrative. Stanley, Andy. Irresistible: Reclaiming the New that Jesus Unleashed for the World (Location 4178). Zondervan. Kindle Edition. “Question: What would happen to you if your birth certificate along with every copy of and record of your birth were to vanish from the earth? Answer: Nothing. Your birth certificate documents you. It didn’t create you and it doesn’t sustain you. Question: What would happen to you if you discovered an error on your birth certificate? Answer: Nothing. For the same reason. How would you respond to someone who claimed you were never born because of an error on your birth certificate? How would you respond to someone who refused to believe you existed until you produced a birth certificate? Crazy, I know. But this convoluted thinking mirrors the way most people think about our faith. And by ‘most people,’ I don’t mean most non-believers. Most Christians are confused on this point as well. Consequently, as the Bible goes, so goes their faith. One more. WHICH CAME FIRST Which came first, the resurrection or the written accounts that document the resurrection? Obviously, the resurrection. Documents that document an event can’t preexist the event they document. Neither do they create the event. The New Testament documents are like a birth certificate of sorts. They document the birth of the church. They document why the church was birthed. Most importantly, they document the resurrection of Jesus. The first converts to Christianity did not believe Jesus rose from the dead because they read about it. There was nothing to read. They believed he rose from the dead because eyewitnesses told them about it. When your mama’s friends came to visit her after you were born, they didn’t ask to see your birth certificate. They asked to see you! Stanley, Andy. Irresistible: Reclaiming the New that Jesus Unleashed for the World (Location 4535). Zondervan. Kindle Edition. “This approach to faith in no way diminishes the importance of Scripture. Just the opposite. The resurrection serves as our apologetic or argument for the reliability of Christian Scripture. Let me explain. The Christian faith began with the resurrection of Jesus. It was birthed by an event, not a document. A birth, not a birth certificate. Our faith began when a handful of Jesus followers saw him alive from the dead. Just as the resurrection of Jesus served as the reason they would later give for the hope that was alive in them, so his resurrection must serve as the reason for our hope as well. To state it more directly, we don’t believe because the Bible says. We believe because Jesus rose! Why do we believe Jesus rose? We believe he rose from the dead because Matthew tells us so. Mark tells us so. Luke tells us so. John tells us so. Peter tells us so. James, the brother of Jesus, believed it to be so. And last but not least, the apostle Paul came to believe it was so. Stanley, Andy. Irresistible: Reclaiming the New that Jesus Unleashed for the World (Location 4621). Zondervan. Kindle Edition. Stanley, Andy. Irresistible: Reclaiming the New that Jesus Unleashed for the World (pp. 24-25). Zondervan. Kindle Edition. “The modern church suffers from its own version of mix-and-match theology and orthopraxy. By mix-and-match I’m referring to our incessant habit of reaching back into old covenant concepts, teachings, sayings, and narratives to support our own teachings, sayings, and narratives. Here is a sampling of some of the “old covenant leftovers” just to whet your appetite. Why are Christians behind the movement to post the Ten Commandments in classrooms and courthouses? Why not portions of the Sermon on the Mount? Why do we give children a copy of the old covenant bound with the new without teaching them the difference? Why do some churches have priests? Why do Christians sometimes describe their pastors as “anointed” by God? Why do some Christian leaders constantly warn of God’s impending judgment? Why would Christian leaders declare a tsunami God’s judgment on a predominantly Muslim region of the world? Stanley, Andy. Irresistible: Reclaiming the New that Jesus Unleashed for the World (pp. 90-91). Zondervan. Kindle Edition. Stanley, Andy. Irresistible: Reclaiming the New that Jesus Unleashed for the World (pp. 94-95). Zondervan. Kindle Edition. Stanley, Andy. Irresistible: Reclaiming the New that Jesus Unleashed for the World (pp. 146-147). Zondervan. Kindle Edition. Stanley, Andy. Irresistible: Reclaiming the New that Jesus Unleashed for the World (p. 158). Zondervan. Kindle Edition. Stanley, Andy. Irresistible: Reclaiming the New that Jesus Unleashed for the World (p. 168). Zondervan. Kindle Edition. “The Old Testament is great for inspiration, but not application. Don’t do anything the Old Testament tells you to do because someone in the Old Testament tells you to do it or because they did it themselves…. Stanley, Andy. Irresistible: Reclaiming the New that Jesus Unleashed for the World (pp. 166-167). Zondervan. Kindle Edition.